Start off your visit on the 8th (Fri): get lost in a book at Culebra Public Library and then kick back and relax at Flamenco Beach. To see photos, maps, reviews, and more tourist information, use the Culebra trip planning tool . 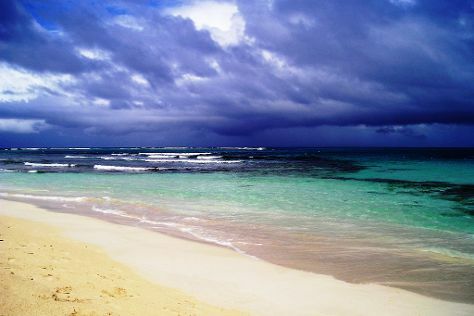 Boston, USA to Culebra is an approximately 10.5-hour combination of flight, shuttle, and ferry. You can also fly; or do a combination of bus, flight, shuttle, and ferry. Traveling from Boston to Culebra, you'll lose 1 hour due to the time zone difference. Traveling from Boston in March, things will get warmer in Culebra: highs are around 84°F and lows about 73°F. Cap off your sightseeing on the 8th (Fri) early enough to catch the flight to San Juan. When in San Juan, make a side trip to see El Yunque Rain Forest in El Yunque National Forest, approximately 1h 10 min away. There's much more to do: contemplate the long history of Old San Juan, make a trip to Paseo de la Princesa, brush up on your knowledge of spirits at Casa BACARDI Puerto Rico, and scramble along the landscape with a canyoning and rapelling tour. To see traveler tips, reviews, more things to do, and more tourist information, read our San Juan visit planner . San Juan is very close to Culebra. In March, daytime highs in San Juan are 85°F, while nighttime lows are 73°F. Finish your sightseeing early on the 11th (Mon) to allow enough time to travel back home.